The Department of Licensing will move to suspend your license if you are charged with a DUI in Washington. The process begins the night of your arrest. Typically the police officer faxes a suspension notice and police report to the Department of Licensing. The officer will also hand you a notice of the suspension. This form notifies you that you only have 20 days to challenge the suspension. This administrative action to suspend your license is different than your criminal case. Refused to provide a breath test after advice of the Implied Consent Warnings. You lack the experience to know whether you can win your hearing or not. A well-trained DUI attorney can sometimes win the hearing by exposing the officer’s mistakes. Police officers rarely testify at DUI license suspension hearings. Therefore, errors in the police report can win a hearing. Simple paperwork errors can make all the difference. Consulting with a DUI lawyer can help save your license. If you either don’t request a hearing or lose the hearing, your license can be suspended for either 90 days or 1 year, depending on the circumstances of your DUI case. When you arrested and charged with a DUI, you will be provided a notice of license suspension by the police officer. You can use this form to request a DUI license suspension hearing and mail it in with the $375 fee. You can also visit the Department of Licensing website and file your request online. Because you only have 20 days from the date of the arrest, it makes sense to file online and save all the time you can. Once you’ve requested the hearing, the Department of Licensing will either contact you or your criminal attorney, if you hired one. You will receive copies of the police reports that are proposed exhibits in the administrative hearing to follow. You can then prepare your own evidence, subpoena witnesses and prepare briefing for the hearing. The hearing must be held within 60 days of your arrest. On the date of the hearing, an administrative law judge will call you or your attorney. 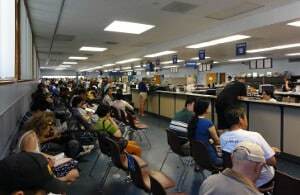 The department of licensing bears the burden of proving that you drove a motor vehicle, that the police officer had a reasonable basis to stop you and to arrest you for DUI, and that your BAC was above a 0.08% (or that you refused the test). Although that seems simple to accomplish, there are a variety of ways that the hearings can be won if simple mistakes were made. A dui lawyer can help you decide whether you have a good shot at winning your hearing.